Jake specializes in retirement planning, family financial planning and asset transition planning for individuals and small businesses. He spends most of his time in the Faribault office, but also has an office location in Eden Prairie, MN for his clients that reside in the Twin Cities area. Jake is a graduate of Bemidji State University, where he received a degree in Business Management and a minor in Criminal Justice. Jake has been an independent financial advisor since 2003. 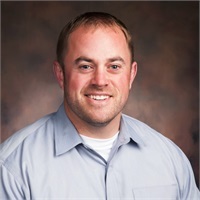 Jake is a lifelong Faribault resident and enjoys giving back to the community through his numerous professional, community and non-profit board commitments. Jake and his wife, Dana, have 3 beautiful daughters. Jake enjoys spending time with his family and doing pretty much anything outdoors.